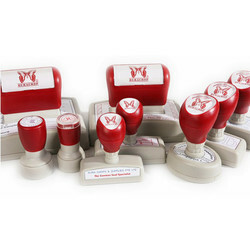 We are offering Flash Pre - Ink Stamp to our clients. Foams are available in two kinds of Plastic Viz. EVA and PE. 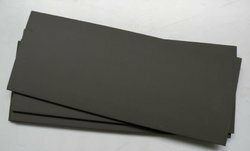 PE foams are expensive but more durable, and are resistant to Solvent based Inks. The porosity is more denser than PE foams and this property gives you that 1200 dpi resolution. PE foams do not shrink in size and do not wrap after inking. The foams are made solely for us by world leader 'Schule FoamTech Gmbh' Germany.